Katherine is a small town in Northern Territory, Australia. It’s about 320km south of Darwin. 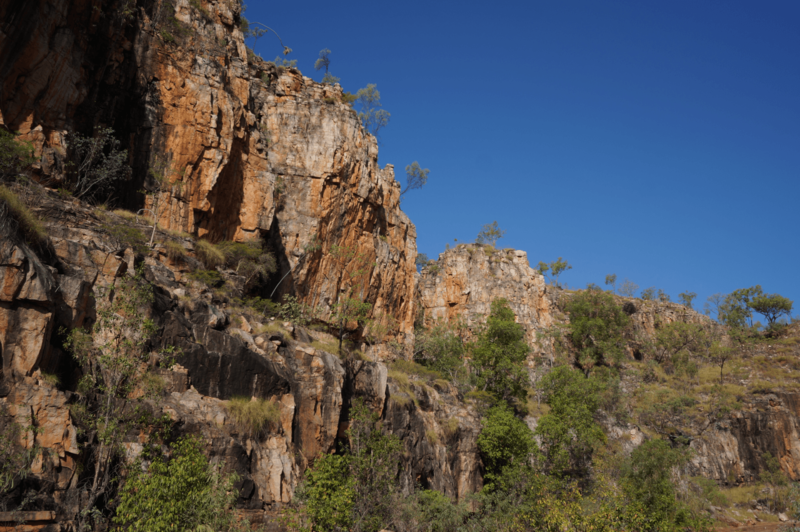 In this post I want to highlight the Katherine Gorge which is the main attraction at the Nitmiluk National Park. 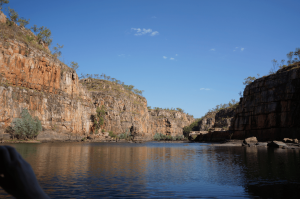 The gorges can be explored by canoe and flat bottomed boat. We opted for the latter and did a 3 hours long cruise a long several parts of Katherine Gorge. In the middle we had to do a bit of a walk to get to the second boat. 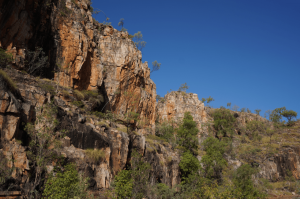 Between them we could see ancient aboriginal arts and learn something about their history. 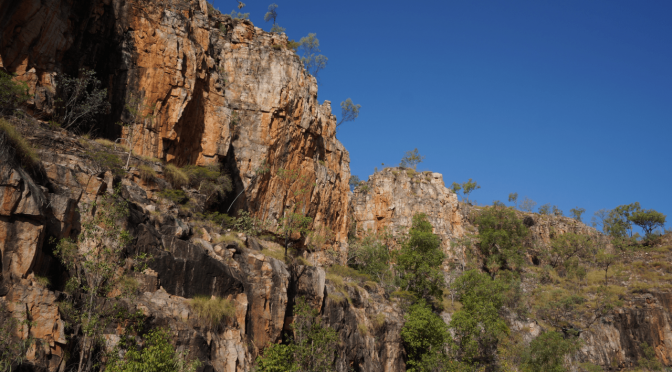 See series of sandstone gorges carved over millions of years which stretch along the Katherine River. This is definitely one of my hights of my Australia 2013 tour. My tip: If you want a relaxed afternoon on a boat while you’re in Australia, then spend some time in Katherine and do a cruise. Or do a canoe tour along the Katherine river.